Karl Martin was at first an oil man, then a coachbuilder, and then, in 1919 when he ended up in Bennington, Vermont, an automobile manufacturer. The Martin Wasp Corporation built cars from 1920 through 1924. Not very long. The catalog has this listed as a “Martin Wasp” but the cars were sold under the “Wasp” name. They were powered by relatively ordinary 72 horsepower, 5.8-liter Wisconsin inline-fours (and later sixes), but the styling was quite unique. These were long, low cars that wore touring coachwork Martin described as “rickshaw phaetons.” Douglas Fairbanks bought one as a gift for his wife, Mary Pickford. The cars were very expensive – this one would’ve cost $5,000 when new. Only 14 four-cylinder – and three six-cylinder – cars were built. The one you see here was actually assembled in the 1940s from leftover unused new parts that Martin retained after the factory had closed. Still, with only two other “real” Wasps in existence, it is pretty special. It should bring between $30,000-$50,000. Click here for more info and here for more from this sale. Electric cars have always had this weird “science fair project” look about them. Even from the beginning. Part of it is because of packaging – they have different things they have to carry, necessitating different designs. Part of it is function – modern cars are trying to show they are eco-friendly with weird hubcaps, etc. But this looks like a Ford Model A coupe. Or, as it was bodied by Fisher, a period Chevrolet. You would have no idea it was powered by a 15 horsepower DC electric motor if it didn’t say “electric” in the name. It was part of the Harrah collection for many years and remains in original condition. The company only built 131 cars in 1931, and this is the only survivor. It may be the “newest” Detroit Electric in existence, as production petered out pretty dramatically after 1932. It should bring between $30,000-$60,000. Click here for more info and here for more from this sale. 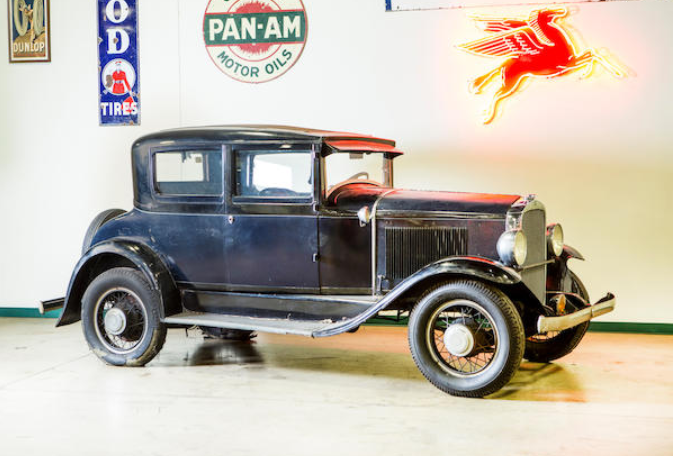 The Paige-Detroit went on sale in 1909 and after about a year and a half, company namesake Fred O. Paige was forced out of the company and the new owners dropped the “Detroit” suffix and began selling cars called the Paige. Without Mr. Paige, Paige would produce cars from 1911 through 1927 when they were acquired by Graham Brothers to form Graham-Paige. The Model 6-66 was apparently named by someone who had no sense of superstition and assumed the public wouldn’t mind either. It was produced in 1921 and 1922 as Paige’s largest offering. Power is from a 5.4-liter straight-six capable of 70 horsepower. The Daytona Speedster was so named because Paige took a Model 6-66 to Daytona Beach and clocked it at 102 mph, making this one of the first 100 mph cars available to the American public (though they only promised 80 mph in road-going models). My records show that it was only available in 1922, but weird things happen to the titles of old cars all the time. This example was restored in the U.K. in 2013 and it is one of 18 known Daytona Speedsters in existence, which actually goes to show how fondly these were remembered back in the day. As one of America’s first true sports cars, and freshly rebuilt, this car should bring between $100,000-$130,000. Click here for more info and here for more from this sale. 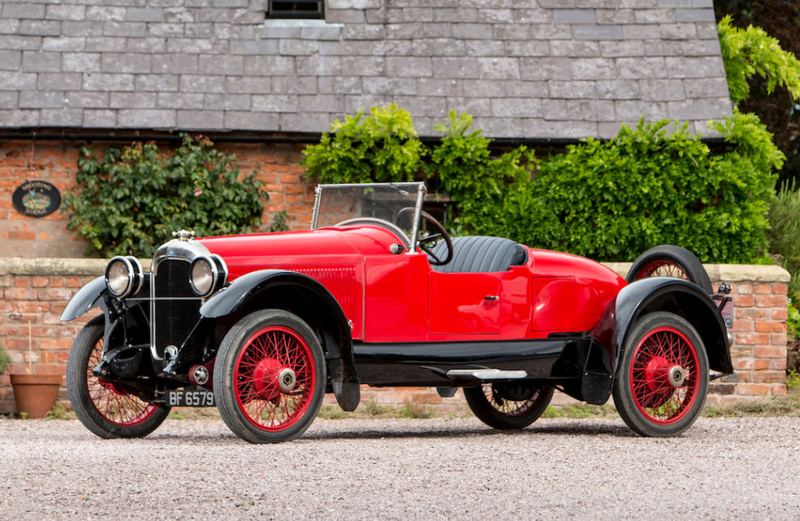 Alfa Romeo traces its roots back to the Italian Darracq company that was founded in 1906. That company became Societa Anonima Lombarda Fabbrica Automobili, or A.L.F.A., in 1910. During the First World War, Nicola Romeo became the director of A.L.F.A. and after the war he changed the name of the company to Alfa Romeo. The new company’s first model was designed by longtime Alfa designer Giuseppe Merosi. Introduced in 1921, the G1 as it was called, was built in limited numbers through 1923 before being replaced by the more popular RL. It should also be noted that there were a few A.L.F.A.-branded G1s that made it out of the factory before the branding switched. The G1 is powered by a 6.3-liter straight-six making 70 horsepower, quite a decent amount for its day. This car sports a racer’s body, having been most recently restored in 2000. It’s early years were spent on a farm in Australia before being rescued in the 1960s and it’s remained in the collection of New Zealand’s Alfa importer for some time. 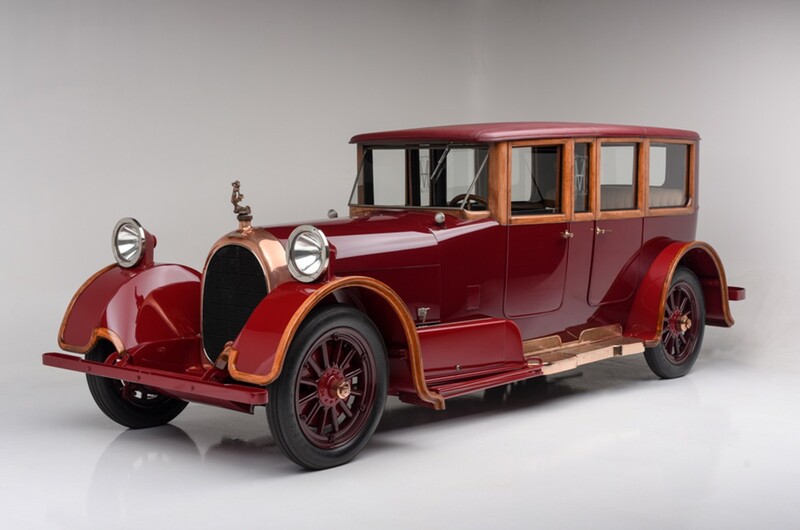 Only 52 examples of the G1 were ever built and this is the only one known to exist, making it the oldest Alfa Romeo-branded automobile in the world. It should bring more than a million dollars when it goes under the hammer in January. Click here for more info and here for more from this sale. The Heine-Velox is an interesting car. Gustav Heine owned a very successful piano company in San Francisco. In 1903, he decided he wanted to build a car, so he did. Three 45 HP cars were built and shown but before production could get underway, the San Francisco earthquake destroyed the company and he returned to rebuild his piano business. The piano business bounced back and in 1921 Heine went about his plans to build a car again. This time he approached it differently, wanting to build the ultimate car. It would use a 6.4-liter V-12 engine making 87 horsepower. Heine built five cars – a Victoria convertible, three sedans and this, the Limousine, which was unfinished when the company folded. Not one of the five cars was ever sold. Heine retained possession of them and gave a few away. Three of the cars are known, one was assumed destroyed, and the other one disappeared in 1993. 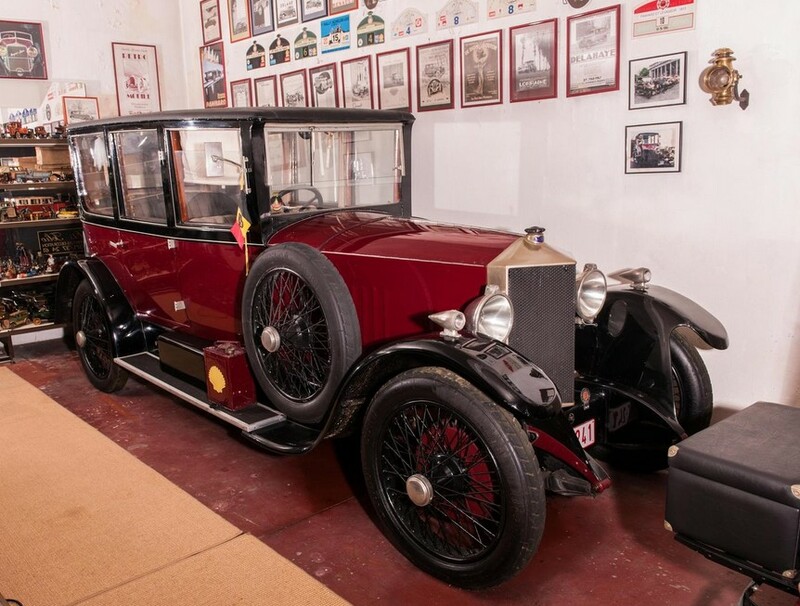 Once a resident of the Blackhawk Collection, this car has been on display in a Chinese auto museum since 2006. Everything about it has been restored to perfection. See more here and more from this sale here. Métallurgique was a Belgian automobile manufacturer that existed in its automotive form between 1898 and 1928 (they made locomotives prior to cars). They would become known for their sports cars much like Mercer in the U.S. and they had 100 horsepower cars prior to WWI. But they also built bigger cars that became very popular in the U.K. after WWI. This model uses a 2.0-liter straight-four making 15 horsepower. All four-door cars built by the company were bodied by Vanden Plas, including this one. The company was acquired by Belgian rival Minerva in 1927 and phased out the following year. Not a ton of them still exist and the ones that do tend to reside in long-term ownership. This is a rare opportunity to grab one for between $27,000-$34,000. 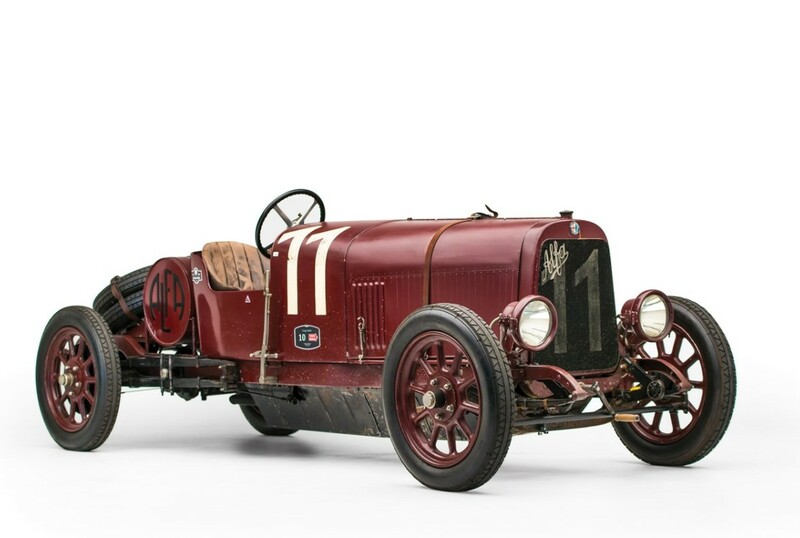 Click here for more info and here for the rest of Bonhams’ Paris lineup. Rochet-Schneider was one of the earlier French automobile manufacturers, setting up shop in 1894. 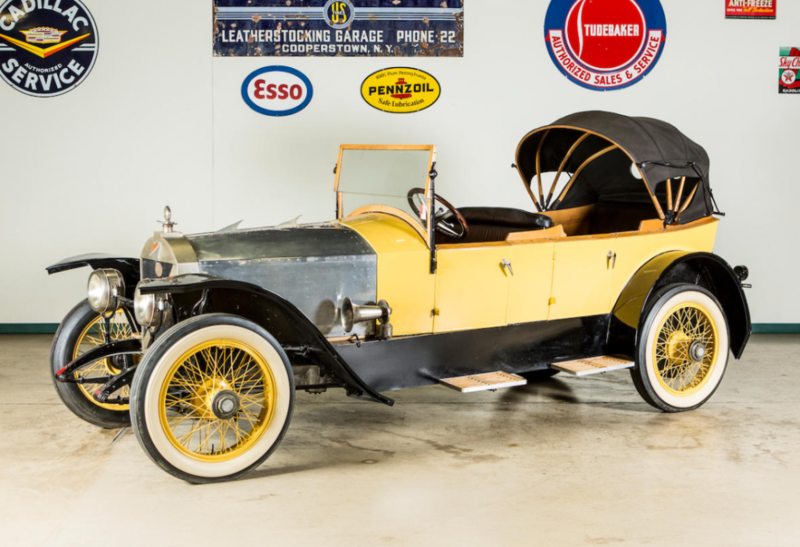 One of the co-founders, Theophile Schneider, left the company in 1910 and started building cars under his own, abbreviated, name. The 4.5-litre model used a – you guessed it – 4.5-liter straight-six. It was the biggest car the company made and they were powerful and fast cars. This one is all-original and was one of three six-cylinder Th. Schneiders imported new into Australia. The engine was rebuilt in 2012, but this is believed to be the only running six-cylinder Th. Schneider with its original body – which was constructed on this chassis by a coachbuilder in Melbourne in 1921. Th. Schneider stopped production in 1929, with cars selling on through 1931. In 1932, Rochet-Schneider also closed its doors. These cars are quite rare and to find one in this good of original condition is practically impossible. It should sell for between $135,000-$205,000. Click here for more info and here for the rest of RM’s Paris lineup. The Moll was introduced during the cyclecar craze of the early 1920s. Many cyclecars of the era were small – but this was was downright tiny. It was one of the first true microcars ever built. Introduced in the early 1920s, the Chemnitz Roadster was constructed by Moll-Werke AG of Chemnitz, Germany. It used a 125cc single-cylinder engine that is mounted between the driver’s legs (this car features tandem seating – the passenger sits directly behind the driver). 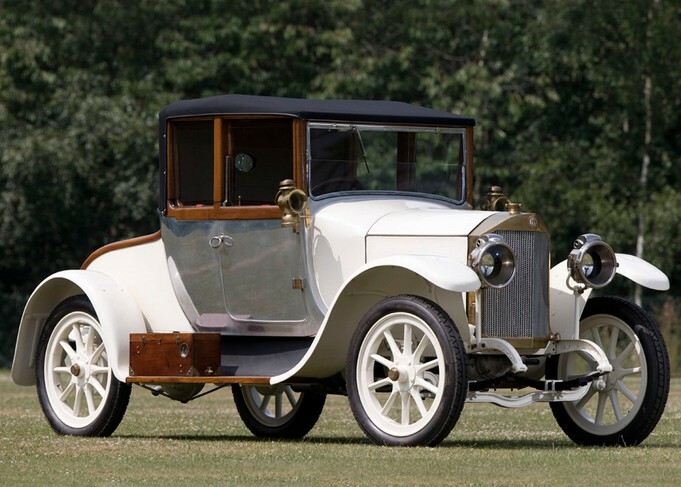 This car is listed as a 1921, likely because they have no idea when it was built. 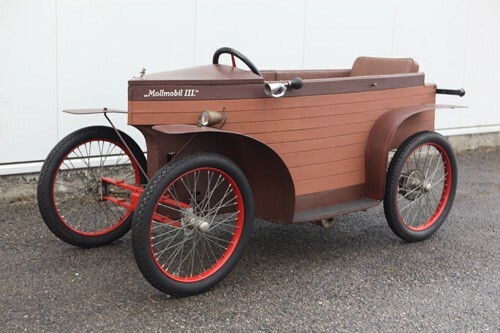 My records show the company in existence from 1922 through 1925 and this Mobil III model having been built from ’24-’25 with a more standard light car preceding it. In any case, this is one of two or three of these to survive and it is in excellent restored condition. Read more about it here and see more from this awesome sale here. Update: Sold for about $14,500. The Mercedes and Benz merger happened in 1926. Prior to that, Benz had been building road cars for a remarkable 40 years. This was one of their later designs as it was introduced in the 1910s. The company actually built two different 8/20 HP models. This was the second type and it used a larger 2.0-liter straight-four engine making 20 horsepower (it was basically 70cc larger than the earlier engine). The body is by an almost-unknown British coachbuilder called Forton & Bettens and this car is one of two existing that uses one of their bodies. It is a convertible, even though the top looks very rigid. It all folds back and looks rather pleasant. I also like the aluminium side panels. This rare example of a late Benz should sell for between $265,000-$310,000. Click here for more info and here for more from this sale. I don’t think there is any way, without breaking my legs into smaller pieces, that I would be able to fit in this car – which is a shame because I think it is really cool. H.F.S. Morgan began marketing his three-wheelers in 1911 and within a few years he was exporting them to France where a few many handled the importing duties. There are a few names on the importers list – two of them being the brothers Darmont (Roger and Andre). Three-wheeled Morgans became popular in motorsports for a few reasons. One, they were light, and their small v-twin motorcycle engines weren’t necessarily overworked trying to keep them moving. They began taking victories in Europe and after World War One, a Morgan Three-Wheeler scored an improbable victory at a race in France. Roger Darmont quickly entered an agreement with Morgan to build the cars in France, where their popularity had exploded. These were called Darmont-Morgans. Built in a Parisian suburb, the cars were, initially, the same as those being built in Malvern Link, but over time they grew into their own and in the mid-1930s, Darmont introduced a four-wheeled car of his own design. The company closed at the outbreak of the Second World War. 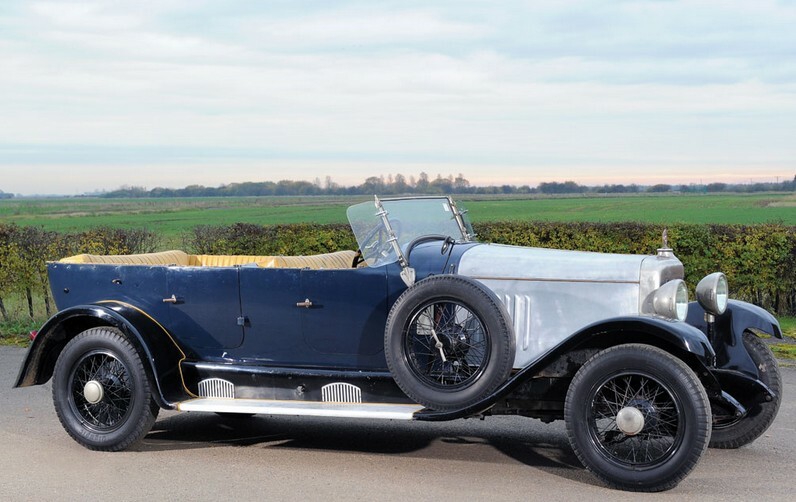 This rare survivor is a fine example of an early Morgan but in even scarcer form – a Darmont. 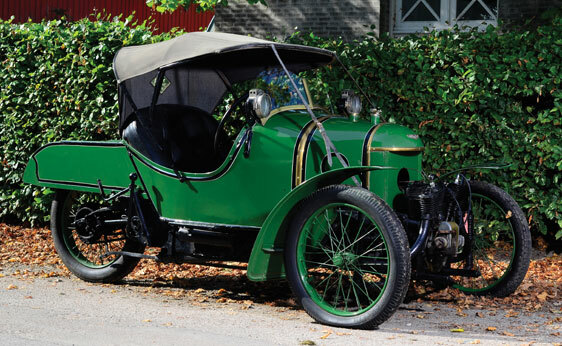 It’s also a great example of a cyclecar – a style very popular in 1920s France. This car looks like it’s probably been in a museum for quite a while – tended to as needed, but never restored. It’s really cool. No estimates have been published yet for this sale, but for more information, click here. And for more from this incredible sale, click here.